The police investigation into the cause of the fire has been closed. Detectives investigating the huge Shurgard warehouse fire in Croydon have said they are satisfied it wasn’t started deliberately. Police have been trying to determine the cause of the massive blaze, which destroyed the whole building, on Purley Way, ever since it started on New Year’s Eve. Thousands of items, valuables and memories have been lost in the blaze, with nothing left of the 1,198 units. Now, all that remains is the charred wreckage on the site where the building once lay. Five weeks on, the Metropolitan Police revealed the investigation has been closed. The force said on Wednesday (February 6) that the extent of the damage “made it impossible to establish the cause of the fire”. 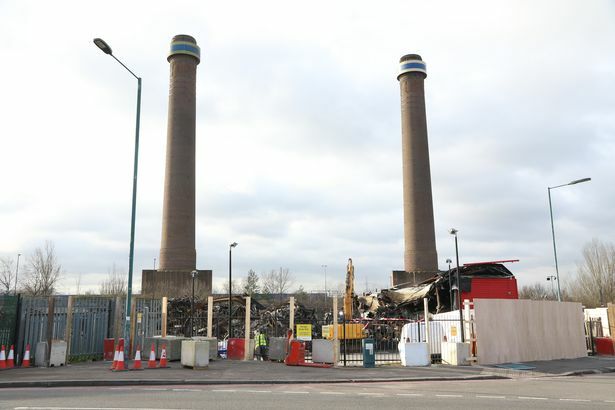 Two men were previously arrested on suspicion of arson in the days after the fire, but the 26-year-old and 25-year-old have both been released with no further action to be taken. Detective Chief Inspector Richard McDonagh said he was “satisfied” the fire was not started deliberately. “The fire at Shurgard caused catastrophic damage, destroying the inside of the building and contents,” he added. The fire has affected thousands of people, with many losing not only expensive valuables, but priceless memories. Paula Thorntom, of Miller Road, in Waddon , is one of those. The 47-year-old kept the ashes of her mother, and both her grandparents, in the storage facility, and has been left devastated they are now gone. “Now they are gone and scattered over Croydon somewhere. They have been cremated twice,” she said. In a previous statement released last month, Shurgard confirmed the fire had broken out around 7.44pm on December 31. A spokeswoman said: “In common with all Shurgard properties in the UK, the Purley Way store was fully compliant with all national building regulations. We continue to collaborate closely with the London Fire Brigade, the police and our insurance company, in order to identify the source and cause of the fire. “At Shurgard, we require all our customers to have insurance cover for their belongings. “Customers have the option of purchasing insurance cover offered at Shurgard, or through their own broker. The value of insurance cover is based on each customer’s declared value. Policies offered through Shurgard are fully flexible – this means that customers can choose to adjust their insurance cover at any time as they add/remove any of their belongings in storage. The company has not responded to requests for an updated statement.